Jason at Higher Power Training put together a meal plan that did everything I wanted it to do and more. I lost body fat in weeks that I had been trying to lose for years. The meal plan was very simple to follow. As an athlete I wanted to lose the body fat without losing weight and with Jason's plan, I succeeded! I recommend Jason and Higher Power Training to anyone that is trying to get leaner and feel better mentally and physically. 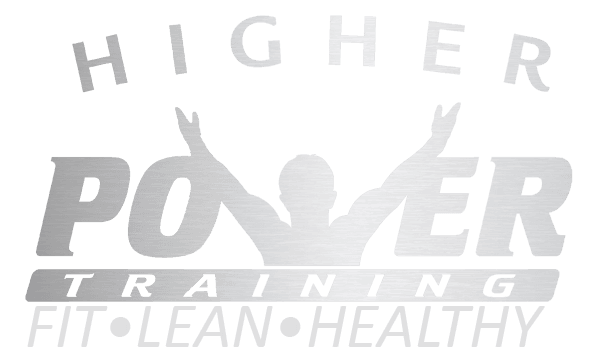 Jason Ivesdal, owner of Higher Power Training has helped me take my career to the next level. The combination of training with him and having him coach my nutrition has made me leaner, faster, and stronger. Working with Jason has helped me put quarterbacks on their butts, where they belong. Training with Jason at Higher Power Training has made a huge difference in my game. The combination of strength and leanness has made me a quicker, more explosive athlete. In all football, I have never seen nutrition programs like his. I would recommend his strength programs and nutrition programs to any athlete wanting to get better. Training with Jason has made me a better athlete. I was amazed at how I was able to keep my weight up while dropping so much body fat. With his training, I am able to push myself and rehab through my shoulder and knee injuries. I would recommend Jason and Higher Power Training to any serious athlete. Jason Ivesdal has helped me recover from the pain I was having in my back from bulging disks. I was skeptical about ever feeling good again without having surgery but today I am nearly 100 percent pain free. I think it is important to get the message out to other Dentists like myself or anyone who suffers from poor posture at work that there is help and hope. Earlier I had contemplated quitting dentistry. Thanks to you and your extensive knowledge of human physiology I am back at work and plan to continue on performing dentistry. My work related pain could have cut my career short. I am forever grateful to you for helping me get back on track and feel fortunate that our paths crossed when they did. My training with Dave has gone very well. I have made significant gains in strength and mobility, and am finally recovering from years of soreness and strain. Mostly because I was stuck in the mud using certain routines and putting way to much stress on my joints. Dave has adjusted my routine, hand locations on the bar and removed specific exercises, which together has significantly improved my performance. I am still holding at 205 lbs. and feeling good. The HPT staff has been fantastic over the years. They helped me evolve from the freshman “B” football team, to a varsity captain, and now to a college football player. My success was due to their determination to not only make me stronger but also a healthier person overall. They will cover everything from your training schedule, to your nutrition/supplements, nothing is left out of YOUR equation for strength and health. I decided to try Jason’s nutrition program after working out at Higher Power Training for a year. Jason told me about the success his clients were having and the amount of body fat that some of them were losing. I have always been in good condition but have never been able to get super lean on my own eating plan. I was intrigued to see if this program could help me get as lean as I have always wanted to be. I did the nutrition program with Jason for 4 weeks and saw great results during this time. Jason has helped prepare me for spring training and the grueling baseball season ahead. Since completing the nutrition program with Jason, I have continued to stay on it and I’m still seeing results. I now look the way I have always wanted and know I am in the best shape of my life. I thought I was a fairly healthy eater, but I've been slowly gaining weight over the years despite working out regularly. I was looking to relearn healthy eating habits. The HPT nutrition plan does exactly that - it teaches you to eat the right foods in the right proportions at the right times. The plan is easy to follow, has lots of food choices, and gives fabulous results! I've lost 40 pounds and even more in body fat! It gives you the tools to determine portion sizes and which foods are the best for you. Katie and all the HPT trainers are encouraging and supportive and Katie is wonderful at giving suggestions and tweaks to get the best results. Higher Power Training is the key to my ability to pursue golf, skiing, and wrestling with grandchildren as if I were 20 years younger. Dave Mohr and Boot Camp have kept my back and core muscles strong enough to help me be injury free through 50 round golf seasons and 35 day ski seasons. Jason’s nutrition coaching helps me manage blood pressure, cholesterol, and blood sugar levels when I start to lose my discipline. One of the reasons all this works is that the entire staff and most of the people that train are extraordinarily friendly and supportive. The Saturday boot camp gang makes the work fun. I always look forward to that workout.